Current headcount is 98 (on par with 2009) with 5% turnover. Five of 11 partners left starting in November. Current headcount is 98 (on par with 2009) with 5% turnover. Five of 11 partners left starting in November. Maura Corbett launched Glen Echo Group. Don Goldberg, Michael Quint, and Jason Siegel founded BlueText. Kelley McCormick took the COO post at Gibraltar Associates. Managing partner Michael Petruzzello says business hasn't suffered. Three new partners joined this year. Ron Faucheux, president of Qorvis-owned Clarus Research Group, was also named partner. Jennifer Haber and Michael Hillegass came on as MDs in 2010. There are currently three openings (senior associate and director levels). Qorvis is primarily known for public affairs. Core business also includes PR, marketing, and interactive. About 15 wins were added to the overall roster of 75 in 2010. Wins included the governments of Mexico and Sri Lanka, Bechtel, PhRMA, Pew Charitable Trust, and Intel. Petruzzello reports no losses. Revenue increased about 20% to $29.7 million with bottom-line growth. The firm is currently up 10% from Q1 2010. Qorvis marked its 10th anniversary last year. In March 2010, the Richmond, VA, office of four staffers was shuttered after work on the Virginia Lottery account wrapped. 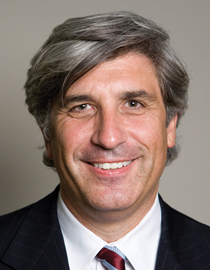 Petruzzello attributes 2010 revenue gains to solid growth in Qorvis' core business and from international clients. He expects continued growth this year. Plans include expanding in DC and possibly opening offices in New York and Europe later this year. "The company has always been very fast, aggressive, and innovative," he says. "That's not going to change."